Pewter. 5/8". 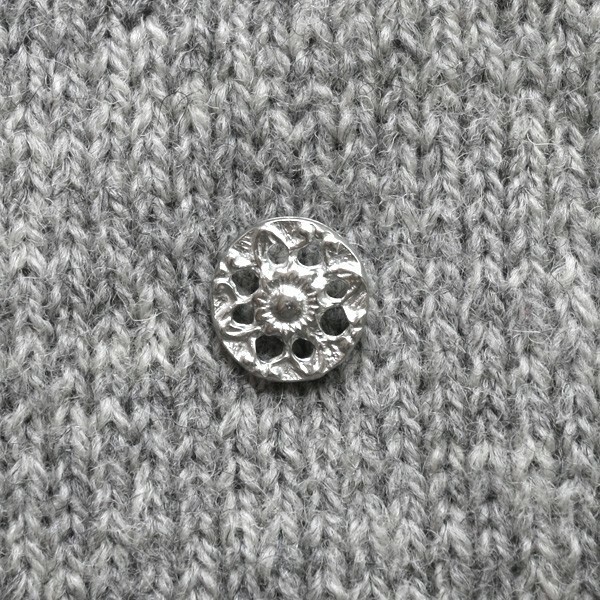 The holes around this button make it very lightweight and perfect for children's cardigans.